Times Square NYC got the message. Did you? 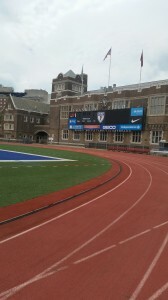 The decision was made by the University of Pennsylvania to perform a complete track renovation after the 2015 events at Franklin Field. Advanced Polymer Technology’s (APT) Rekortan running track was an easy choice as it simply outlasts the competition. Rekortan has been the official surface of the Penn Relays since 1988. According to Gary Wilson, Director of Sales at APT, Rekortan was selected once again because of its superior characteristics of speed and longevity. 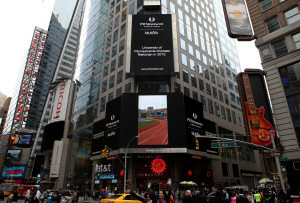 Rekortan’s superior reputation is known around the world by world class athletes. “I made three Olympic teams all while training on Rekortan surfaces. Injury free my entire career! In my 15 years of competing, I’ve found Rekortan to be the most outstanding surface in the world.” – Harvey Glance, Olympic Gold Medalist, 2008 Assistant Olympic Coach, and Coach of 2012 Olympic 400m champion. 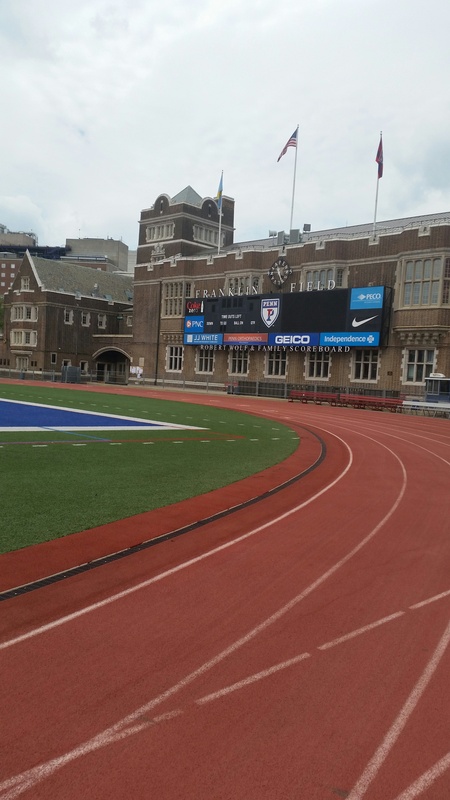 Continue to follow our news feed and like APT Worldwide on Facebook for updates on the U Penn/Penn Relay project at Franklin Field.